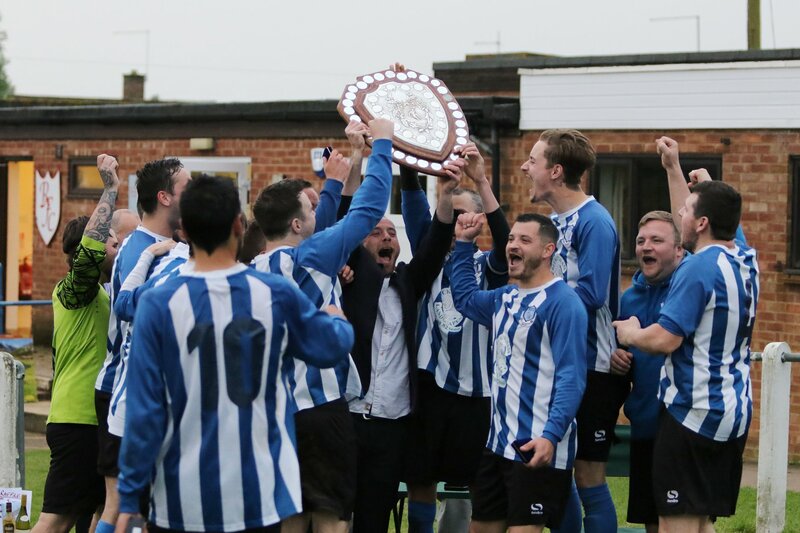 Buckingham United Firsts faced Steeple Claydon at home in the league. After two impressive performances in recent weeks the Buckingham team were keen to collect 3 points and put some daylight between them and the mid-table teams. Buckingham and Claydon met preseason in a match that ended in a draw. Buckingham started the game well and controlled the match from the off. The home pitch is improving every week and now beginning to provide the Buckingham players with a surface that helps them keep the ball on the floor. Moving the ball around well, the Firsts, began to open up the Claydon team. A slight change in formation this week and the presence of two strikers, and the wingers, pushing on, gave the Steeple Claydon defence major problems. Matt Carr delivered several dangerous crosses, however Buckingham we're unable to score. Jack White delivered a fee kick straight to Lewis Parkin who latched onto it, testing the keeper, for the rebound to fall to Mitchell Young tapping in for the opener. The new partnership of Mitchell and Lewis continues to look strong and both looked likely to score again. Danny Charlesworth linked up with with the forwards, down the right side, on numerous occasions, resulting in an effort from Mitchell Young that went only inches wide. Danny McCarthy and Bobby Cooney won their battles in the middle, but in spite of their dominance Buckingham Firsts were only able to go in 1-0 up at half time. Changing ends created an immediate problem for Buckingham. The oncoming wind suited Steeple Claydon's long ball style of play but not the First's defence who struggled to deal with it. A goal kick that was carried by the wind, missed several players, before bouncing to a Steeple Claydon player, who cut it back for a tap in for the forward. Five minutes later and Buckingham conceded another, almost identical, goal. Again a flick-on from the keepers kick found the Steeple Claydon striker who hammered it home into the bottom corner. Buckingham quickly found themselves behind, both poor goals to concede, and faced an uphill battle to get themselves back into the game, however, after this five minutes of madness they began to push for the equaliser. Bobby Cooney found himself with shooting opportunities within the 18 yard box but was unable to convert. Continuing to press there were some promising moments for the team but with little time remaining, and Claydon playing down the clock, the match ended in a 2-1 loss for Buckingham United. Massively disappointed, Buckingham knew this was a match they should win to gain promotion this year. In their maiden season Buckingham United are 4th in the league and have shown that, when playing well, they can compete against any team, encouraging for players still learning to play together as a team. Buckingham next face Padbury AFC, a team they beat comfortably earlier in the season. Buckingham will be looking at this match as a chance for the team to gain some confidence and get back to winning ways.